You can learn about rural lifestyle of India,villages of India,local language and Hindi,education system of India.my mom can teach you how to cook indian food if you want to. You will be provided a separate room,a separate toilet (Indian and western both options are available), internet connection,and desert cooler/AC in summers. 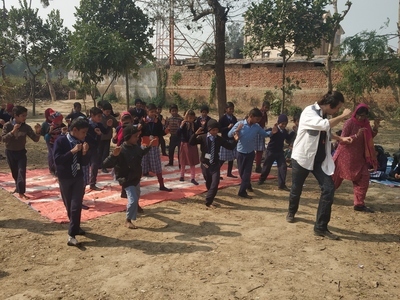 Our place is 70km away from Varanasi (benaras) and we run a school for underprivileged and rural kids. 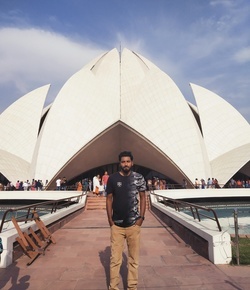 We would like you to stay with us and tell kids about your country and culture,teach them English.we are friendly and we You can learn about rural lifestyle of India,villages of India,local language and Hindi,education system of India.my mom can teach you how to cook indian food if you want to.follow an age old saying 'atithi Devo bhawah' (guests are like God). We have hosted volunteers from France,USA ,italy, Spain,hungry,germany, Czech,canada,portugal and it was an amazing experience for us. So if you want to know and feel about the real india,you are most welcome here.